While we sit here with our iPads and iPhones, it is easy to forget that things were not always this way. We didn’t always have the iPhone 4S with its super fast CPU and lightening integration with iOS. In fact, the name ‘iOS’ is something that only came around relatively recently itself. The realization that iOS has been around for four years now got us to wondering what changes it has gone through along the way, and what the world was like back when the iPhone didn’t have apps to call its own. Well, turns out The Verge’s Dieter Bohn was also wondering something along those lines. Instead of simply sitting and contemplating as we have been doing, Dieter set about taking the story of iOS and telling it in a way that could only happen on the already growing ‘The Verge’ website. We don’t want to go into the whole thing too much here – you really do need to head on over to Dieter’s post – source link in the end – in order to truly appreciate the work that must have gone into it – but there area couple of points that we thought were worth reminiscing over. For starters, many people will forget that iOS 1.0 and the original iPhone did not come complete with the App Store, or any from of third-party apps at all. Well, that isn’t strictly true. Cydia and the world of jailbreaking first came about due to Apple’s reluctance to allow apps onto its smartphone. It wasn’t until iOS 2.0 that Apple brought the App Store to life, and the world of smartphones was never the same again. Look around you, and you’ll know. 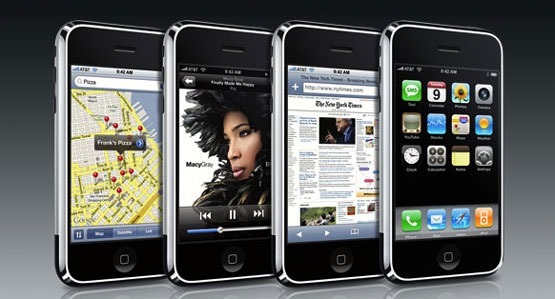 iOS 3 saw the addition of cut, copy and paste to the lineup, which was something that many, many people had been crying out for since the iPhone was first announced. Others thought they would never use such a feature on a phone. 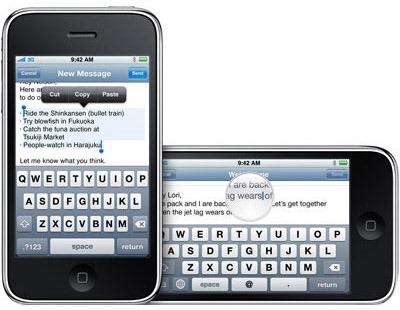 A few short years later, could you imagine an iPhone without cut, copy and paste? It has been a long road from the humble beginnings of iOS 1.0 to the heady heights of iOS 5, and we can’t wait to see what iOS 6 through 10 have in store for us!